The Italian Wolf design is the third in our 'wolf trilogy', although this colourway looks very different from its sisters; Grey Wolf and Black Wolf. A subtle combination of colours ensures that this faux fur throw makes a real statement wherever it is used. Perfect for livening up a plain bedroom and although we produce it in 9 standard sizes, we are happy to make others if you can not find the perfect one for your situation. The Italian Wolf faux fur is a striped fabric and the stripes run the length of each throw. So for example, a 150cm wide x 250cm long throw will have 250cm long stripes running down the length of the throw. We always give the width of the throw first, and so a 200cm wide x 275cm long throw will have 275cm long stripes. With some size options it may be possible to make your throw with the stripes running across instead of down the length, but you would need to contact us to discuss your requirements before placing the order. However, on a 150 x 100cm thrrw (59" x 39") the stripes run across the width, so are 100cm long. 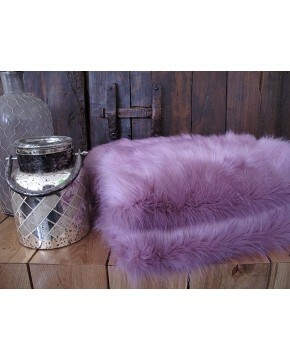 Description: Looking for cheap faux fur throws? This Italian Wolf design is low priced and yet a luxurious looking faux fur throw. A combination of white, brown and tan fur makes this an unusual and eyecatching striped design. A medium length fur.